October 27, 2010: Here’s a photo of Adrienne before the ceremony. She was absolutely gorgeous to shoot in black and white! This shot was taken of her looking out of a window from the BoardWalk. She was only about a 100 feet from her soon-to-be husband’s room and that’s when she finally felt a few butterflies. 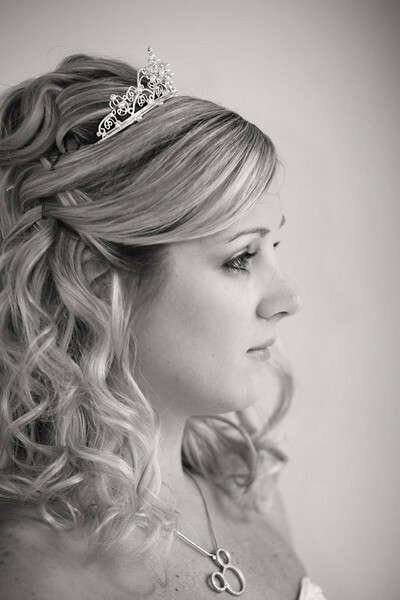 A beautiful portrait and bride! what a beautiful bride...nice job. Lovely portrait, she looks great!